AuctionRPM is a complete auction management suite. 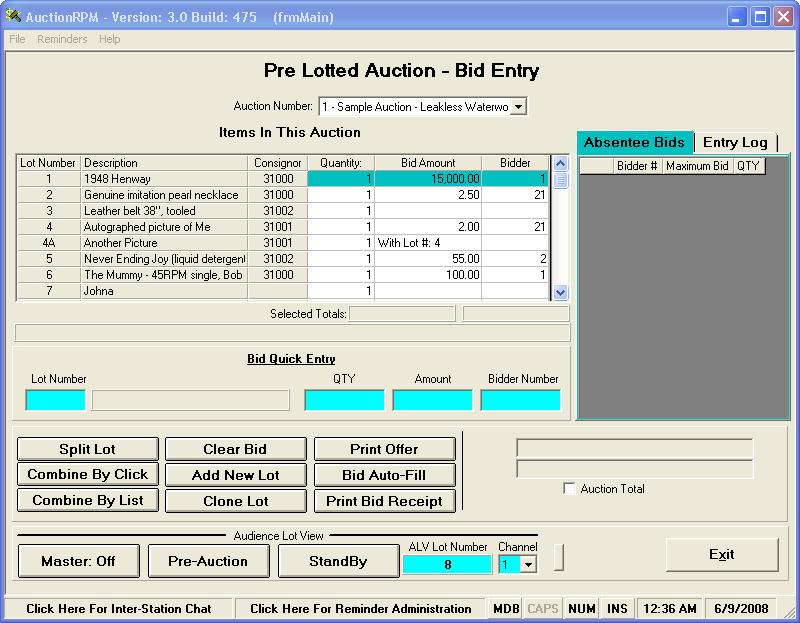 Having been in use since 2001, AuctionRPM is a time tested Windows based auction management solution. 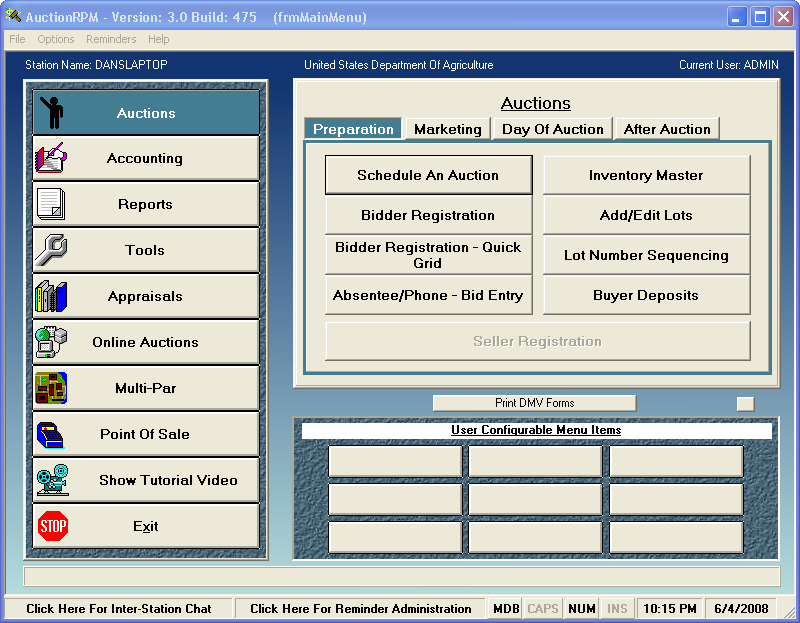 Since day 1 we have listened to many auctioneers in order to have constructed the most versatile and comprehensive auction management software on the market. Here are just a few features AuctionRPM offers. Click Here To Download your own free trial NOW! 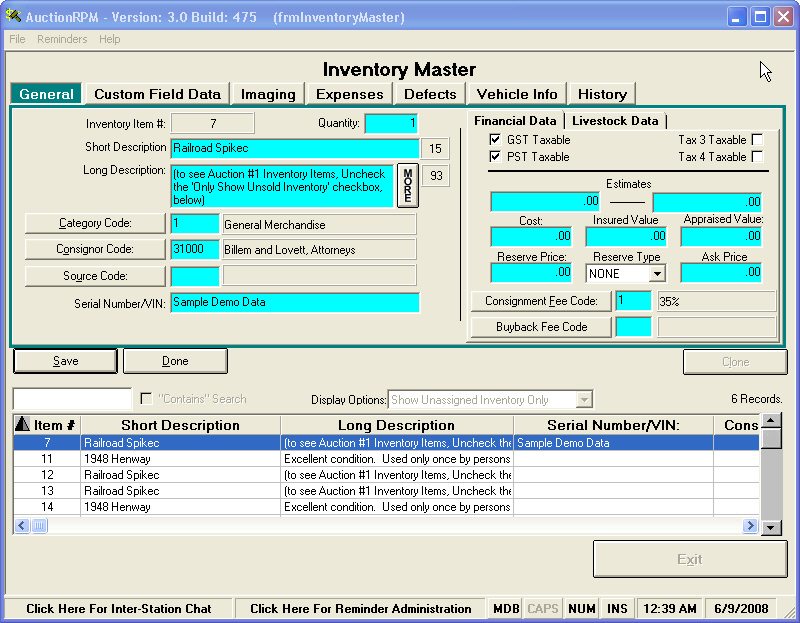 The inventory management screen is designed for auctioneers that accept inventory without knowing the exact auction and lot number that will be assigned to each item. Full information is kept including expenses, defects, vehicle information, and even a complete history for each item. The AuctionRPM main menu is designed to give you the most information with the least amount of searching. It even allows you to change the menu so that the items you use the most are featured! 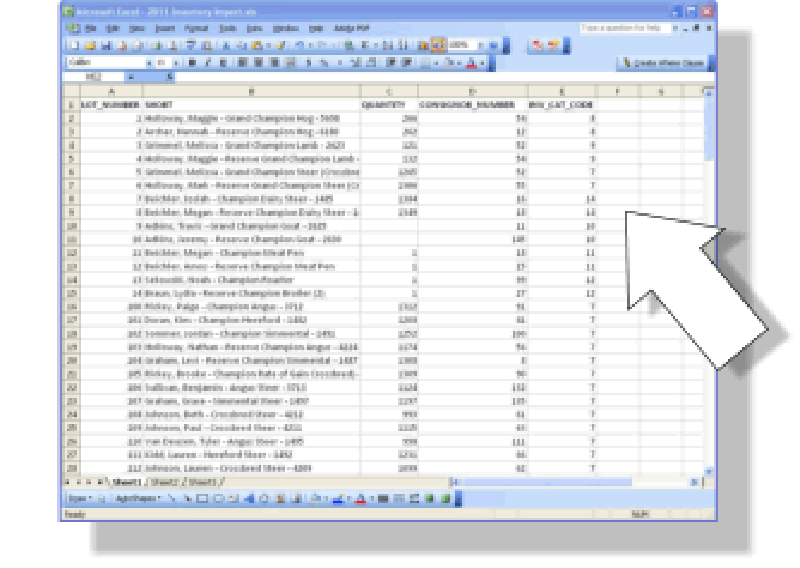 Do you have pre-existing lists of your buyers, consignors, or inventory? The import tools allow you to import these lists quick and painless so you can get to work quicker.